Two weekly newspapers’ websites are set to be absorbed by a new countywide news platform being launched by a regional publisher. 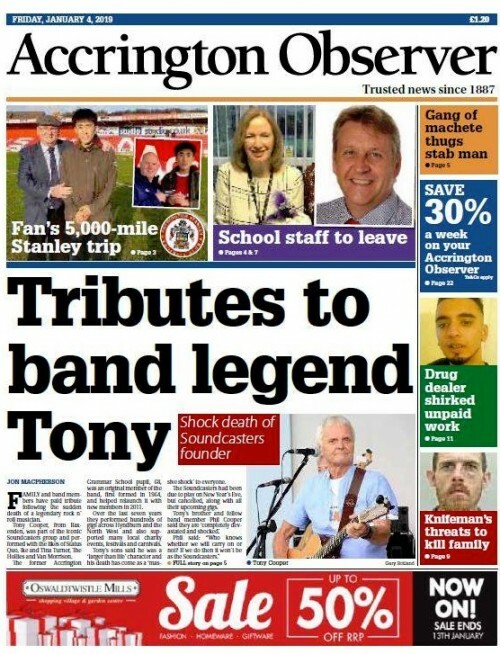 Reach plc is set to launch Lancs Live, covering Lancashire, next month, and readers of the Accrington Observer and Rossendale Free Press have now been informed their papers’ sites will fall under the new brand. However, both the Observer and the Free Press will retain their own Facebook pages. Reach announced its launch team for the new site, which will be based in Bamber Bridge, near Preston, earlier this month. Luke Beardsworth, currently digital editor at Bristol Live, is returning to his home county to serve as publisher. In a piece explaining the changes on the Observer’s website, he wrote: “We’re setting up a brand new team to help bring this to you, while still bringing you everything the Accrington Observer gave you before. We’re really excited about this and hopefully everything in here will answer any questions that you have. “Lancs Live is a live, digital news outlet which will keep you in the know about what’s happening across the entire county every day. But there will be much more than just news. “We’ll cover all things you are talking about, every day. The latest developments, ways to avoid traffic jams or to ease your travel woes, the latest Blackpool [Football Club], PNE [Preston North End], [Blackburn] Rovers and Burnley news and gossip, restaurant openings and guides plus exciting events and things to do across the county. Luke will be joined on the launch team by football writer Alex James, who has been poached from his role as sports editor at the rival Lancashire Telegraph, along with two trainee live news reporters – Chantelle Heeds, who joins from the Liverpool Echo, and News Associates Manchester graduate Olivia Baron. Dominic Moffitt has now also been announced as an advanced content writer for the site. He previously worked for Archant sister dailies the East Anglian Daily Times and the Ipswich Star.